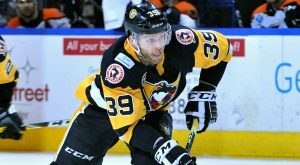 WILKES-BARRE, PA – Casey DeSmith came within 1:22 of recording his first regular season AHL shutout, and the Wilkes-Barre/Scranton Penguins defeated the Rochester Americans, 4-1, on Friday night at the Mohegan Sun Arena. 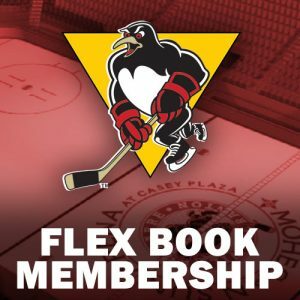 The win was the fourth in a row for the Penguins, whose 18-5-3-0 record is the top mark in the AHL. DeSmith’s record remained unblemished in regulation contests this season at 7-0-2, while his goals against average dropped to 1.75, second best in the league this season. 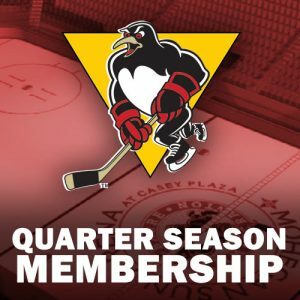 Jake Guentzel opened the scoring for the Penguins, netting his team-leading 11th goal at 16:42 of the first period. 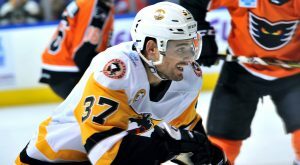 The goal was the fifth in Guentzel’s past six AHL contests, and tied him for the top spot among AHL rookies. David Warsofsky and Josh Archibald padded the lead in the second period, with their fourth and fifth goals of the season respectively. The Americans best chance to get back into the game came at the tail end of the second period, as Kevin Porter and Teddy Blueger were sent to the penalty box just 38 seconds apart, giving the visitors an extended five-on-three advantage. 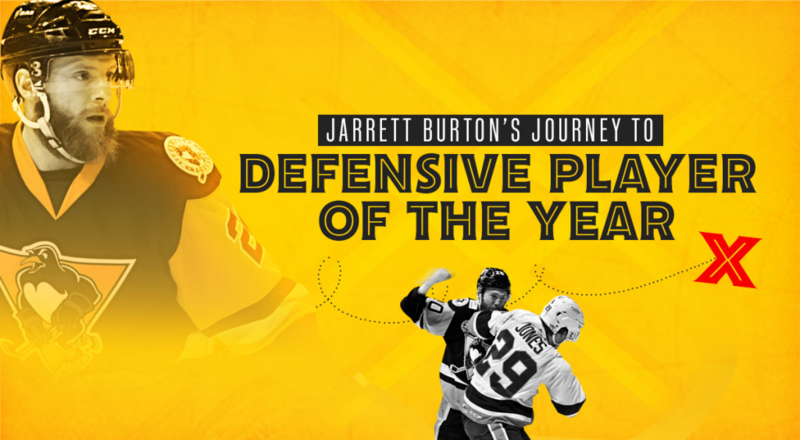 But the league’s top penalty kill held tough, and a spectacular, sprawling glove save from DeSmith allowed the Pens to take a three-goal lead into the second intermission. Lukas Bengtsson capped off the Wilkes-Barre/Scranton scoring with his first AHL goal midway through the third period to make it a 4-0 advantage. 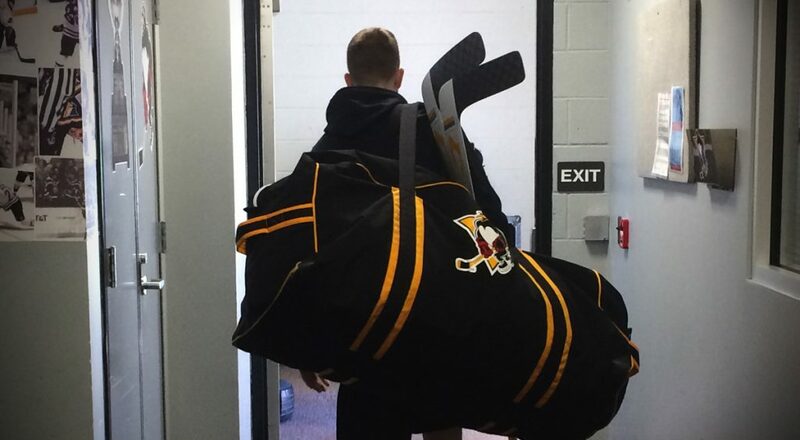 It looked like DeSmith was headed to his first clean sheet, before Kyle Bonis beat him with a one-timer glove side at 18:38. 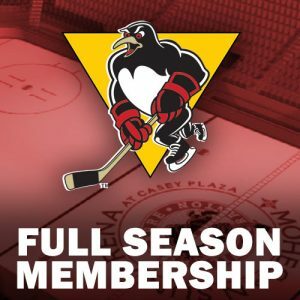 The Penguins play their final game before the holiday break tomorrow night when they host the Springfield Thunderbirds at 7:05pm. 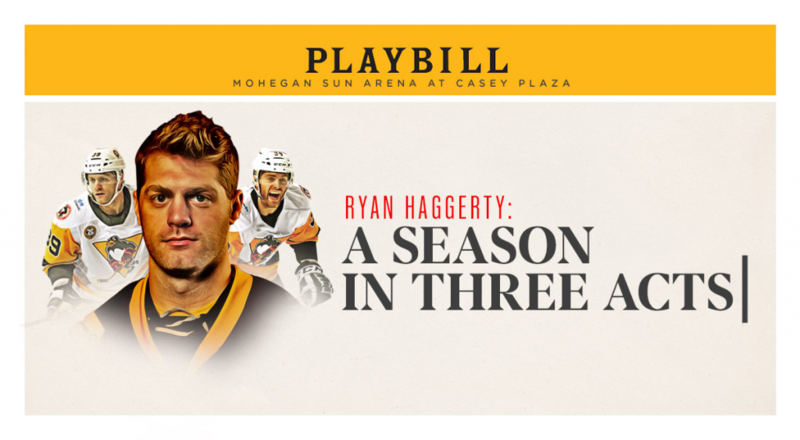 Good seats are available at the Mohegan Sun Arena box office, or by calling the Penguins at 570-208-7367. 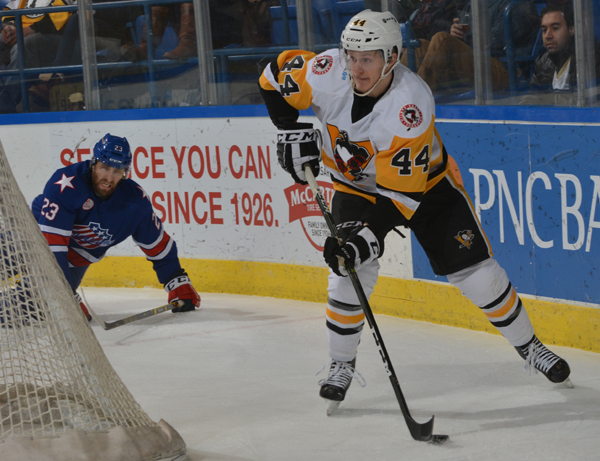 NOTES: Guentzel, Bengtsson and Warsofsky each recorded a goal and an assist in the win…Guentzel now has 12 points (5+7) in his past eight AHL games dating back to November 18, and has only been held off the scoresheet once in that time frame (Dec. 14 at Hartford) …Warsofsky has nine points (2+7) in his past seven games, and like Guentzel, only failed to score in the win at Hartford…The Penguins have recorded 14 goals in their past three games, with 12 different skaters scoring.